A bleached portion of the Great Barrier Reef, photographed during a March 2016 survey. Image: ARC Centre of Excellence for Coral Reef Studies. As if the Great Barrier Reef needed more terrible news, the Queensland government issued permits this week for a controversial new coal mine that marine biologists fear could choke out portions of the reef with pollution. On Sunday, Queensland premier approved leases for the Carmichael mine, Australia’s largest proposed coal project, which would tap into the vast fossil fuel reserves located in Galilee Basin. Led by Indian mining company Adani, the mine would see an estimated 60 million metric tons of coal shipped to Asia each year via a port that dumps out right next to the Great Barrier Reef. Environmentalists immediately denounced the approval, which represents the final major regulatory hurdle for a mine that some view as the gateway toward a major expansion of coal extraction from Queensland’s heartland. The Australian Conservation Foundation is calling it “grossly irresponsible” to green light a project that’s expected to generate billions of tons of climate pollution for decades to come when global warming is already having such devastating effects on the world’s largest reef. The timing really couldn’t be worse. Over the past few weeks, Australian scientists have learned that the Great Barrier Reef is in the midst of the worst coral bleaching on record, which has turned large portions of this vibrant ecosystem into a watery graveyard. Marine biologists have warned time and again that such events will only become more frequent as the planet continues to heat up. But the Carmichael mine is more than a symbolic insult. 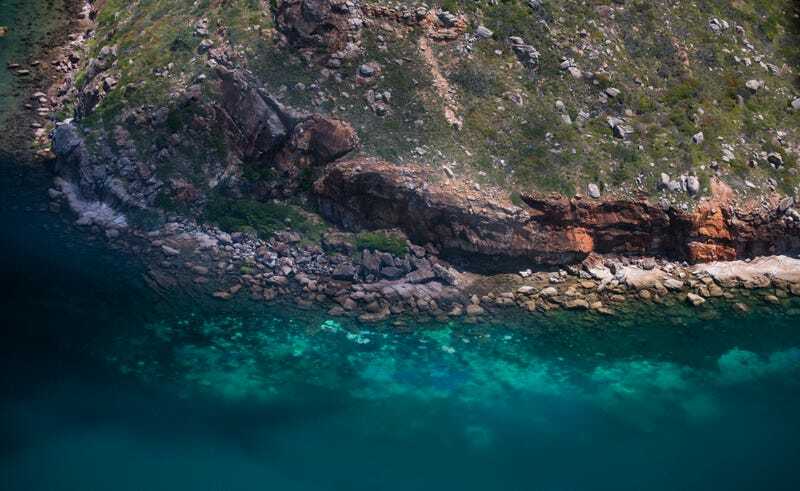 As New Scientist reported in 2014, the mining project could lead to some five millions of tons of dredged soil and sediment dumped directly inside the Great Barrier Reef Marine Park. That sediment would cloud the water, blocking out the sunlight corals and seagrasses depend on to survive. Say nothing of the noise pollution and increased likelihood of physical damage to reefs due to more shipping traffic. This isn’t the end of the story, however. The mine currently faces legal challenges from the Australian Conservation Foundation and others. Adani’s final decision on investment in the project will reportedly come after the outcome of those cases is decided, which could happen next year. Correction: An earlier version of this post stated that the mine would ship 60 metric tons of coal to Asia annually. At peak output, the mine is projected to produce 60 million metric tons of coal for export. The text has been corrected.